Or so my notepad tells me. But I’m not one for taking advice from notepads and therefore can’t help but question the reliability of the claim. It is the 21st of January however and therefore (for giggles let’s presume the notepad knows all) perhaps it is a good time to look at your New Year resolutions. No, don’t flick back to Facebook pretending you didn’t read that first sentence. How are your New Year resolutions going? Going strong? Going, going…gone? For those that are proudly acknowledging their ability to stick to their guns, the majority are probably lowering their head with guilt as they read this. If the latter is the case, you shouldn’t see this as a sign of weakness rather perhaps it is a result of having set unrealistic resolutions. Alternatively, you may have set realistic resolutions but hadn’t thought about how you were actually going to achieve it. For example, you may have the best of intentions to never eat chocolate but ask yourself, how realistic is that goal? Avoidance will likely only get you so far, particularly when your partner brings it home and there is an endless stash at work. It is motivating that people build up the courage to say they are going to improve an aspect of their lifestyle but it is a shame if they are fighting an uphill battle before even starting due to the unrealistic, unplanned nature of their resolutions. Now is the time to readdress your resolutions and modify them. Be SMART. For many people this will be a familiar acronym. Specific, Measurable, Achievable, Realistic and Timely. Let’s consider the effect of ‘I’m not going to snack between meals because I’d like to lose weight’, opposed to ‘I’m only going to have up to two calorie (no, not two calories) controlled snacks a day for the next two weeks and only if I’m hungry’. The latter is SMART. But how are you going to achieve that goal? Firstly, consider any barriers to achieving your goal. ‘But I go to the café for coffee and a snack most afternoons’. A strategy could be bringing calorie appropriate snacks from home or only getting a skim cappuccino from the café. Both need planning. Either planning what are appropriate snacks to bring from home or having a predetermined café purchase in mind. If you are trying to eat fewer kilojoules, write a list of snacks that are suitable for example, an apple or skim cappuccino may be appropriate for you. Buy the foods in advance, prepare them if need be and most importantly, have them readily available for when you need them. A brief list of healthy snacks and their kilojoule content can be found here. This isn’t anything ground-breaking or new but frequently goals are made with little thought of how to actually achieve them. Reflect upon any goals you may have and ask yourself the above questions. Are your goals realistic? What are any barriers and how can you overcome them? How are you actually going to achieve your goals? By addressing these questions, it will help turn your goals into results. 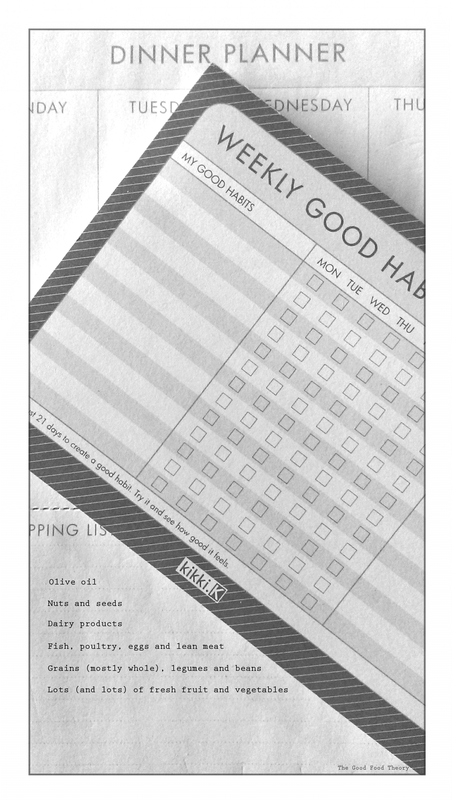 Extra reading for giggles: How long does it really take to change a habit? (Yes, I actually looked up the reliability of the 21 day claim). I think for me planning and prepping is key. In the morning I try to prep all my food for the day….if not, I make bad choices.